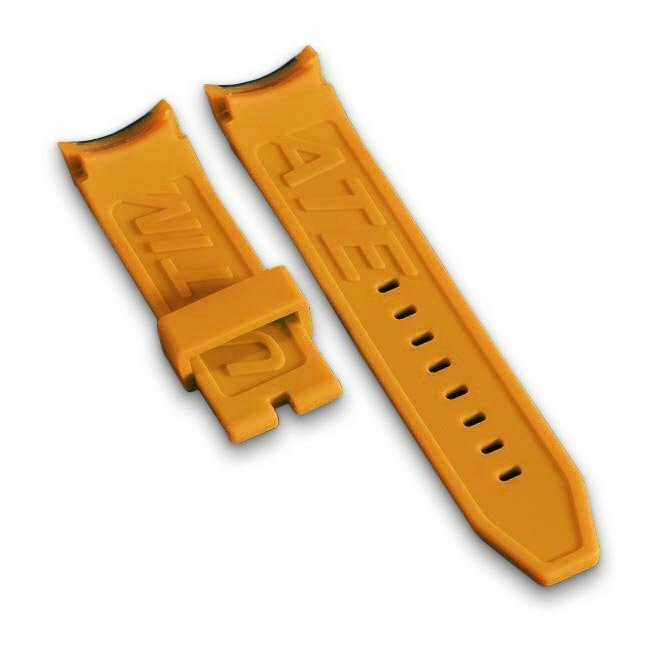 Bright orange swiss watch bracelet for Wryst Ultimate ES50 outdoors watches. 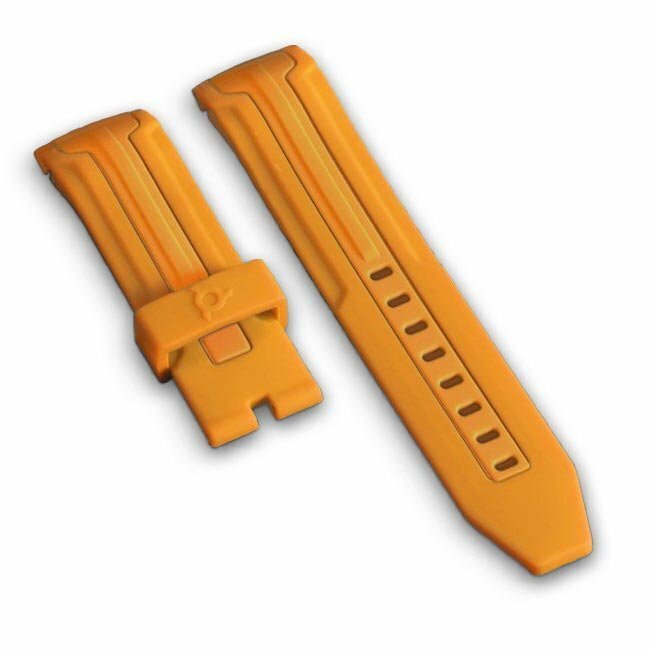 This all orange 4mm thick silicone strap will transform the Wryst ES50 model. It will contrast to perfection with the soft brushed stainless steel finish of the 45mm circular case. Integrated into the lugs, the bracelet is ultra-comfortable and colorful. Fun, classy and with a fresh look, the ES50 is the best seller of the Ultimate watch collection. Stocks are getting low so we would advise to stand out and choose an extreme sports timepiece with style and charisma. The safest and yet most successful reference for the series Wryst Ultimate. Dedicated to more casual style, the brushed steel ES50 is bold, resistant and reliable. The three hands and date on a slate grey dial are well contrasted with hour hands and hour markers all in orange colour. The entire series is consisting of an exclusive limited edition of 99 pieces for a unique experience. Wryst thrives to offer affordable Swiss sports watches like never before and since 2012.